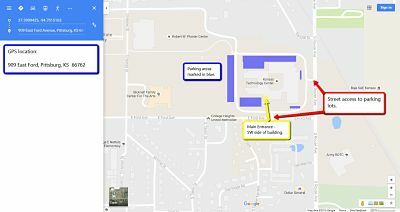 The Company Days will be held in the Kansas Technology Center, on the corner of Ford and Rouse, from 8:30am to 2:00pm. No cost to attend; however, sponsorship donations are accepted and help defray expenses. Donations above expenses will go to support the program area of your choice. 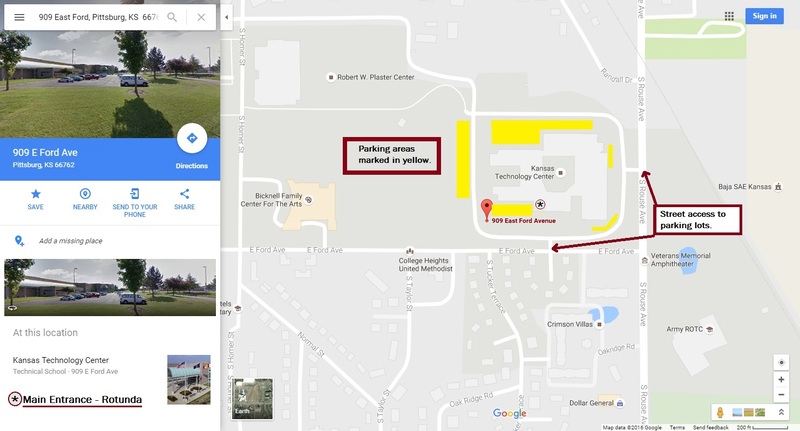 Parking available in Visitor, Blue, or Brown lots located around the building. The largest lots are on the North and West sides on the building. Link to Pittsburg Hotel Information listings.